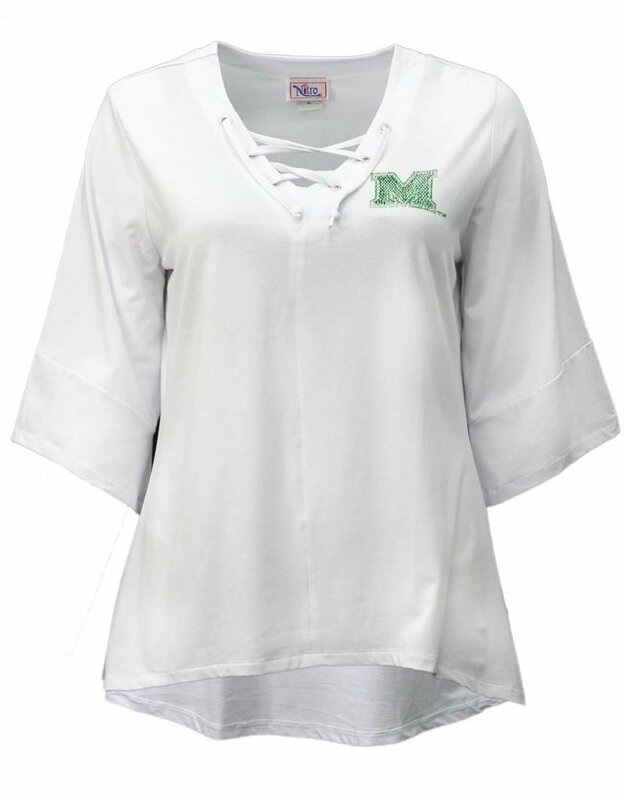 We were totally wowed when we saw this style--perfect with a 3/4 sleeve and lace up v-neck. You'll love the longer tunic length, and the fabric is a soft cotton/poly blend. 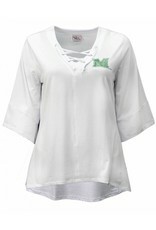 It's embellished with a crystal sparkley Marshall "M", for just a bit of shine. Imagine pairing this with jeans or over a legging! You'll be dressed but not too. These pieces run true to size in both Misses and Plus so order accordingly.